Three recent stories lead me to my opening topic for the year: the value of open-mindedness. This characteristic – a state of receptiveness to new ideas – affects how we perceive and process information. It’s a quality I look for in my doctors, and which I admire especially in older people. The first article, published in the Dec 21 Annals of Internal Medicine, considers the potential of echinacea in treating the common cold. The results of a 4-armed, randomized study involving 719 patients with symptoms of an acute respiratory infection (“a cold”) were inconclusive, at best. A skeptic might say of the trial, sponsored by the National Center for Complimentary and Alternative Medicine (NCCAM), that it proves once and for all that echinacea is therapeutically useless. Another reader, perhaps versed in the flower-derived substance’s purported effects in other and earlier cultures, might charge that the investigators chose the wrong preparation, derived from roots of the E. angustifolia and E. Purpurea species, or that the researchers picked the wrong dose to observe an effect of the drug on the duration and intensity and biological effects of a common cold. I’ve never tried echinacea and have no financial or other particular interest in this compound. But having read the article a few times, I’m disappointed, even unsettled by the results. After so many studies, many of which are referenced in the Annals paper, and now this costly, NIH-sponsored finding of what’s essentially no effect, it’s hard to say that echinacea is helpful to anyone. At the same time, I don’t think there’s sufficient information to say that it doesn’t work in preventing or reducing the intensity of an upper respiratory tract infection, or that it doesn’t work in some individuals who have symptoms like a runny nose and sore throat. Still, we don’t know if echinacea might work better as a tea prepared from dried roots or somehow otherwise ingested by people who are sick, as opposed to the pill compound that was given to participants in the Annals study, or if an extract compounded from a different combination of Echinacea flower species might do the trick. So if a doctor’s open-minded and her patient wants to try taking echinacea tea for a blossoming cold, she might tell the patient that there’s not much evidence based on published trials of the herb, and that in fact so far the echinacea data aren’t supportive of a meaningful effect in any patient group. 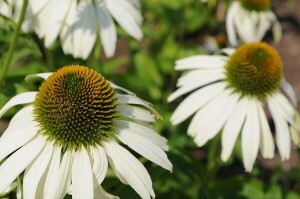 At the same time, there’s probably little risk of trying echinacea, in that it seems to have few untoward effects. And the patient and physician might then observe what happens, and draw limited if any conclusions based on that person’s individual, n=1 experience with echinacea. 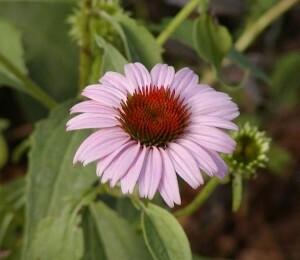 A closed-minded doctor might tell her patient that echinacea isn’t worth trying, in any form. In her mind, she considers the substance is a sort of natural or home-remedy that has no role in modern medicine. She might even feel it’s a waste of her time to discuss the alternative treatment with her patient, and perceive the patient as being uncooperative if he or she tries taking it against her advice. Patients’ attitudes vary, as do their doctors, and given a choice of physicians patients probably choose doctors whose personal philosophies roughly align with their own. For now what I’ll say is this: I respect it when a doctor admits uncertainty, and is willing to try something of low cost and low toxicity, for which the evidence is thus-far unclear. (Of course, if we extend this argument to a discussion of more costly and potentially toxic drugs – like new cancer treatments, we’d need to weigh more carefully the potential harms of a treatment against the unproved benefit.) In principle, though, I like the approach of an open-minded doctor, who recognizes the limitations of published data, and is willing to explore an unproved approach to a problem in a way that’s transparent: as long as the doctor doesn’t sell the echinacea, and is honest with the patient about the lack of evidence to support its use, it seems OK.
Another, curious December story, Placebos without Deception: A Randomized Controlled Trial in Irritable Bowel Syndrome, appeared in the strictly on-line journal PLosONE. The article is perhaps more definitive, as it is more puzzling: the investigators observed that when people with irritable bowel syndrome (IBS) took placebo drugs in a clinical trial, even though they knew they were receiving a placebo and not real medication, they felt significantly better than those patients who didn’t receive the open-label, placebo treatment. As a reader and scientist, I cannot understand this observation except to say most likely it’s an experimental fluke. But the study’s statistics were strong, and the trends internally consistent, rendering it likely that what the investigators reported could be reproduced. The patients’ symptoms are highly subjective in IBS, although they can be debilitating and costly. My conclusion, trying to be open-minded about a result that seems improbable if not impossible, is that maybe there are things we don’t really understand about how “medicine” affects humans. The ethical implications of this finding – that “placebos work” – are interesting, if it’s true (which I wouldn’t conclude based on this one study reported in PLoS, or anywhere). For now what I’d say is the results are intriguing. I’m curious to see if these results are reproduced, and how the ethical implications will be ironed out in our modern medical community. …all of us can find ways to stimulate our brains to grow, in the coming year and those to follow. Just as physical activity is essential to maintaining a healthy body, challenging one’s brain, keeping it active, engaged, flexible and playful, is not only fun. It is essential to cognitive fitness. I’m inspired by the notion of keeping a fluid, active mind. It’s not easy to keep abreast of new data, and to read the literature critically. While some people become more withdrawn in adulthood, resting on comfortable routines and reliable sources, I choose the opposite: reading blogs, scanning Twitter, checking out lectures on YouTube, watching new TV shows, listening to my kids and students. How much better it is to approach information with an open mind, to take it in and contemplate its ramifications, than to simply say “no, that’s impossible.” As far as my doctors are concerned, I hope that’s their attitude, too.